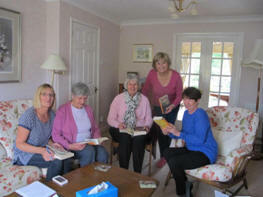 Fancy a book group where you actually talk about the book? Do you ever wish to discuss the books you have read more deeply? We take it in turns to choose a book and lead the conversation each month. We cover a wide variety of genre. We meet on the fourth Wednesday of each month at 2pm. P.S. We also eat cake! The group would welcome new members . If you wish to join please contact the coordinator. Please support the U3A by buying products via the Amazon link below. Balsall Common U3A will receive a referral fee AT NO EXTRA COST TO THE PURCHASER!